JAKARTA - The Ministry of Energy and Mineral Resources (ESDM) appealed to manufacturers and distributors of electrical equipment circulating in the community to coordinate further with the Directorate General of Electricity (Ditjen Gatrik) regarding electricity safety. 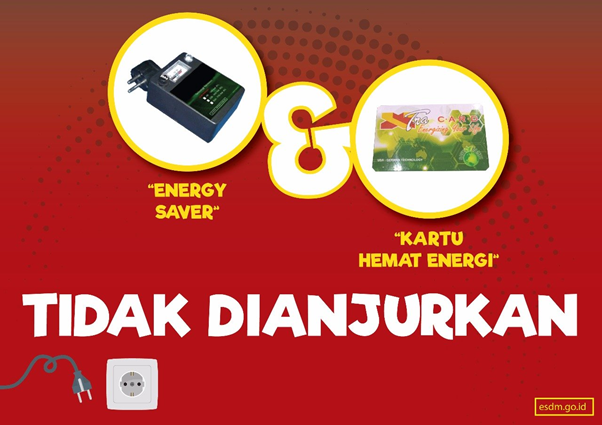 Responding to the rampant "Energy Saving Card" and "Energy Saver" which has recently circulated in the community, Jisman Hutajulu, Director of Electricity Program Development at the Directorate General of Gatrik, said that the electrical equipment attached to the installation must be checked for electricity safety. "If it is attached to the installation, electricity safety must be checked, it must be coordinated with the Gatrik Directorate General at least. So we check first, this is true or not, safe or not, in terms of electricity safety. This regulates the Directorate of Electricity Engineering and Environment, asked about the claim he mentioned (energy saving card manufacturer and distributor), "explained Jisman in his office on Tuesday (8/28). After being checked by the Directorate General of Gatrik, then the Directorate General of Gatrik will coordinate with the Ministries and other Government Agencies for the issuance of permits and labels of the Indonesian National Standard (SNI). "After that we coordinated with the Ministry of Trade and the Ministry of Industry. If this needs SNI, there will be a National Standardization Body (BSN) as well, international standards have regulated this or not, like other SNI-powered electric devices," he added. At present, added Jisman, other electricity devices that are in direct contact with the community have been regulated, are obliged to SNI, and must have an Operational Feasible Certificate (SLO) before being connected to the PLN network. "I think like a socket, plug, switch, MCB (Miniature Circuit Breaker), this has been arranged, compulsory SNI, this office (Directorate General of Gatrik) sees, checks it when it is installed in the installation. This is what friends check in technical inspection agency, related to SLO before being given a voltage by PLN. So if there is a new installation there must be an SLO before being given a voltage by PLN, "said Jisman.